In the design industry, nothing sparks as much flamming debate as to whether or not buying replicas is ok. Many are fervent defenders of copyrights, intellectual property, and ethics, and others are in favor of accessibility and affordability for the masses. While a low price point is surely tempting, I do believe that nothing is quite like the real deal and that durability and quality cannot be cheaply replicated. 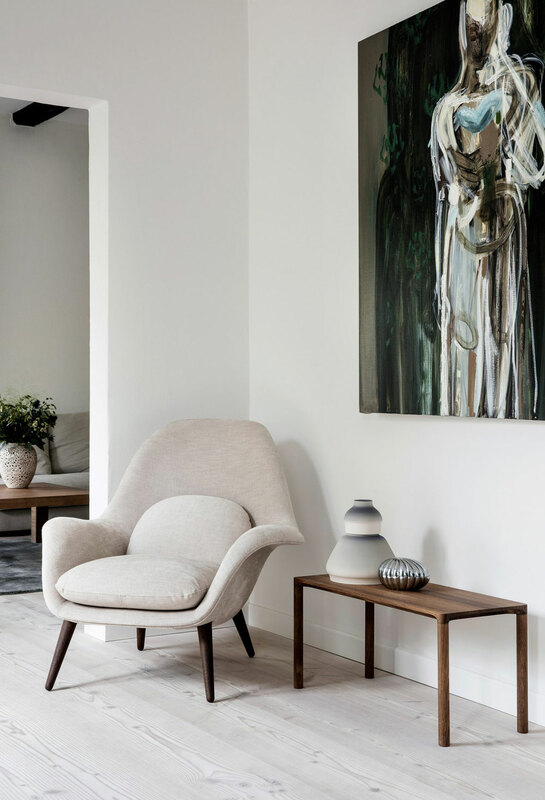 With the increased popularity of the Tulip table by Eero Saarinen, the Wishbone chair by Wegner and the Beetle chair by GamFratesi, among others, we’ve seen the rise of websites and stores claiming to sell authentic design pieces. But how to tell if what you have in front of you is a fake or an original? To help you, I’ve gathered a few tips on how to identify and recognize a genuine icon. Note: I gathered these tips with mostly chairs in mind, but most of them can be applied to other types of furniture, lighting and home accessories. One of the easiest ways to validate the authenticity of a design piece is quite straight forward: Find a sticker glued on the base, a tag attached to the fabric and/or a mark stamped on the leather. It is important to know that the look of the labels changed over time. For example, an Egg chair made between 2006 and 2010 by Republic of Fritz Hansen has a red tag, whereas another one made after 2010 will have a brown tag. Moreover, those model also feature fire-retardant foam, so you are likely to find a fire label; copies don’t have one. If you can’t find a mark or a label (it might have been removed or fallen off), look for a serial number, the company name and/or country of origin ex. “Made in Denmark” engraved into the metal or wood. Obviously, a real iconic piece is all about craftsmanship. That is what makes it so durable, so timeless. Touch and feel the quality of materials, and pay attention to details. The fabric or leather should be uniform, nicely tucked and smooth (with no excess material or creases), and it should be stitched evenly, usually by hand which creates a wave effect, adding to the distinctive beauty of the chair. A paper cord seat should be tightly weaved and uniform. 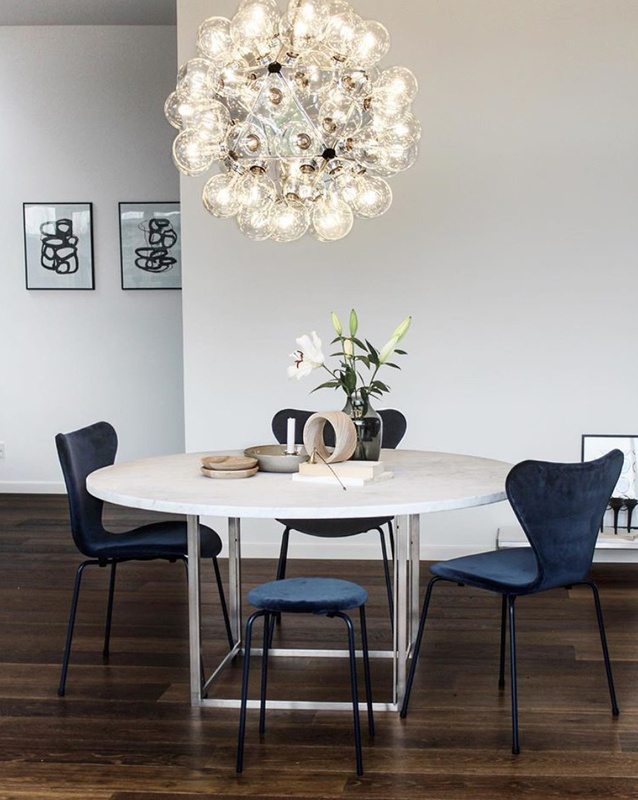 If a Wishbone chair seems to be made with nylon or other synthetic material, it is fake. Wooden parts should have an even finish in color with no knots. 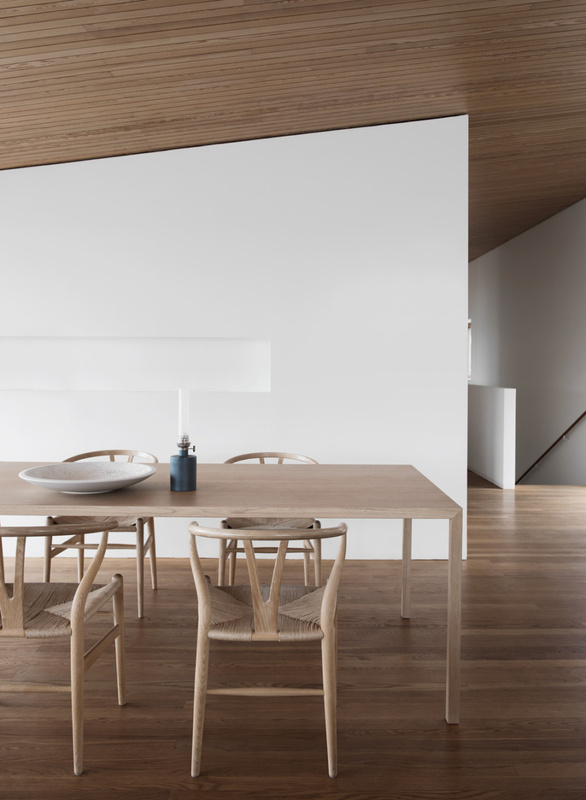 An original design from a top Scandinavian manufacturer does not have visible joins. High-quality fillers are always used for the cushions, ensuring they will keep their shape over time. Replicas sometimes have more legs than the real deal, and the chair leg caps or disc are also different than how the original design was created. Some design furniture have particularities relating to their mechanism. For instance, an Egg chair as a handle on the side to adjust the tension for reclining; most replicas don’t have this feature because it is quite an expensive mechanism to integrate. Note: Some models do not recline. An original swivel chair also has a very smooth rotation at 360 degrees, which is often not the case with a fake. Dimensions can easily be found on the manufacturers’ website, so don’t hesitate to get out your measuring tape when in doubt! If they don’t match, something’s up. The seat height of a replica is often off, too. And notice the shape: Is it even or does it look poorly constructed? You found an online store selling that amazing Wishbone chair we’ve been seeing everywhere lately and, oh surprise, it is on sale for “only” $300. Too good to be true? It surely is. The recommended retail price for Wegner’s iconic design is at least double that amount. Many original pieces require a considerable (and sometimes jaw-dropping) investment, but vintage originals are highly prized too and are well in demand. Some even prefer a used piece for the beautiful patina it developed over time. For your reference, you can have a look at the manufacturer’s online shop or the website of a retailer reputed for selling the real deal, such as Design Within Reach or Nest.co.uk. With a little bit of research about your chair and the manufacturing process, you can find out a few interesting facts about how your coveted piece of design is made, and you will be better equipped to identify a copy. For example, an Egg Chair is made with only two pieces of leather, one for the front and one for the back, so there is no seam down the middle compared to many knock-offs out there. When in doubt, verify the list of authorized dealers on the brand’s website. Am I forgetting anything? Do you have more tips on how to spot an authentic design piece? Let me know in the comment section below! Update: A reader asked me to share where I shop for genuine vintage Scandinavian design. If you are wondering about that too, check out this post. Hello, This is a great article, thanks for sharing! I love a good design chair but even with all my love for it many pieces are really only available to the elite of this world. I was wondering, is there a place one can go to purchase vintage designer furniture online and be sure to get “the real deal”? Regarding your question, I’ve made a post in the past on the 10 Best Places to Shop for Vintage Scandinavian Design: https://nordicdesign.ca/here-are-the-10-best-places-to-shop-for-vintage-scandinavian-design/ – These shops should only sell the real deal. You are welcome! As a designer myself, I’m an absolute proponent of copyright and intellectual property. But you have to wonder whose intellectual property is actually protected when a design is half a century or more old, and the designer has long been dead—sometimes for decades. Some of the examples mentioned in the article are by Arne Jacobsen; in three years he will have been dead for 50 years. It seems only logical that at some point, a copyright should cease and the product transition over into the public domain. Just imagine if the works of Mozart, the Grimm brothers or Mark Twain were still protected! What good would that do? So I’d see this article more as a guide on how to spot authentic Fritz Hansen or Carl Hansen products. 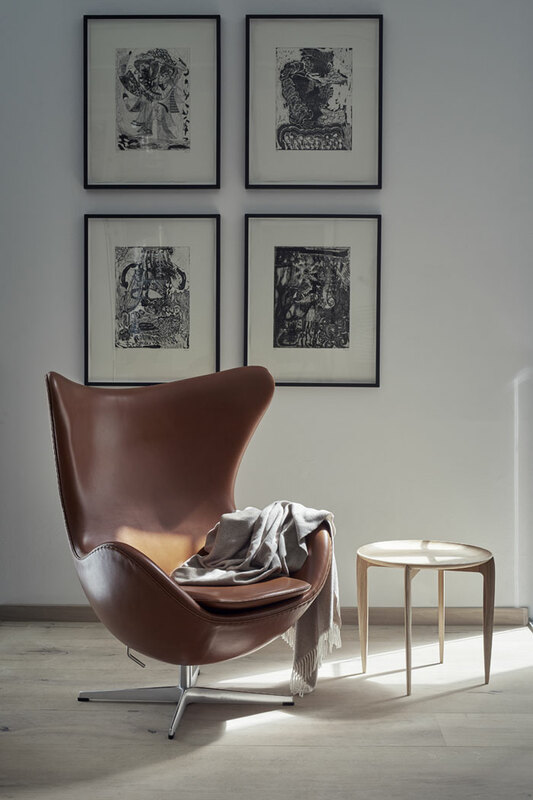 While some reproduction companies offer great manufacturing quality (in fact, I have one replica that absolutely supersedes the licensed version by Vitra in my opinion), others do not, and only the licensed manufacturers can guarantee a level of quality due to their brand recognition and history. I think the discussion about “authenticity” is mislead and pretentious anyway, and we should be discussing quality and longevity instead. Thank you for your comment! It is such an interesting discussion. Some designs were originally created/intended to be affordable… Is it fair that they now cost far more? And should copyright stop when a designer dies? What about legacy? I surely don’t have the answers to these questions, but what a fascinating debate! You bring an interesting point that quality and longevity should be the main focus here. Also, while I don’t want to get too off-topic, consider this: some of the famous designs had been out of production for decades before being re-introduced into the market. Serge Mouille designed his famous lamps in the early 50ies, then lost interest in the business and created sculptures instead until he died in the 80ies. It took some 40 years for DCW to introduce a re-edition. It’s licensed by Mouille’s decendents, but what’s really more authentic or original about it than an unlicensed reproduction? I have a La Chaise which was designed by the Eames’ in the late 40ies and never went into mass-market production during their lifetimes. Vitra started production sometime in the 90ies or 2000s, long after both designers had died. It’s produced according to the original designs—but so is my reproduction, and mine was available in various finishes and with different types of wood. The beautiful American walnut base wouldn’t even have been available from Vitra! I also have an Eames rocking chair manufactured by Vitra, and I love it just as much—because both are high-quality. Of course, there are a lot of cheaply made reproductions. So I love that at least parts of this article really focus on the materials, construction and finishing quality! It’s like they say: buying cheap means buying twice. I think this is true for furniture in general, not just with “design pieces”. I see a growing trend of fast-fashion for interior design and it worries me somewhat. I totally agree with you the fast-fashion for interior design!! I am all for buying less, but better. Thoughtful consumption for a considered home. Hopefully, more people will embrace this too.